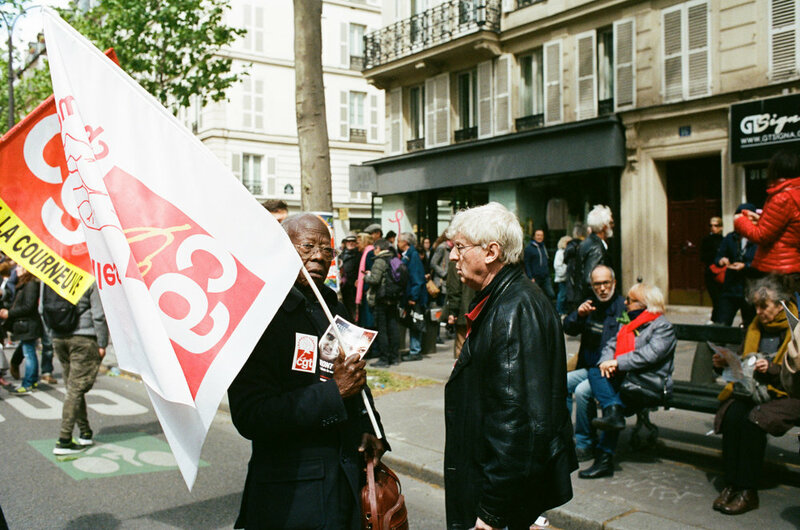 On the 1st of May thousands of trade union activists marched through Paris and other cities of France to demand next president to protect workers' rights. 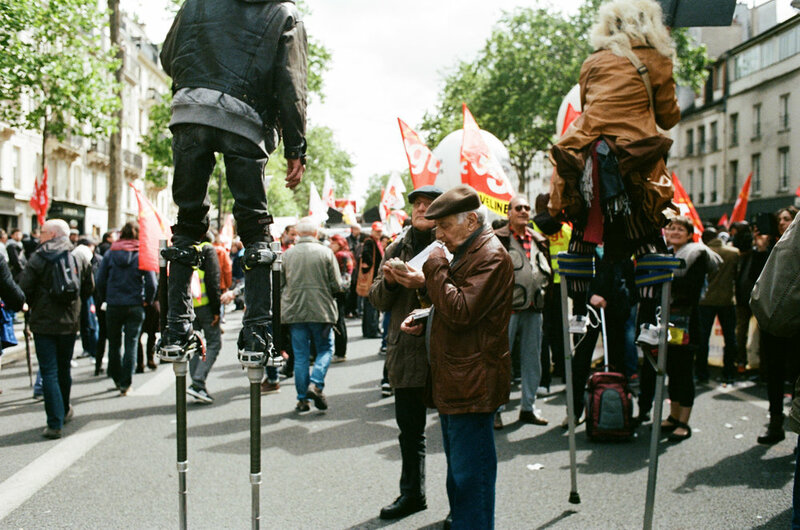 On that day I decided to go with my Nikon F3 to Place de La Republique where unions were gathering. 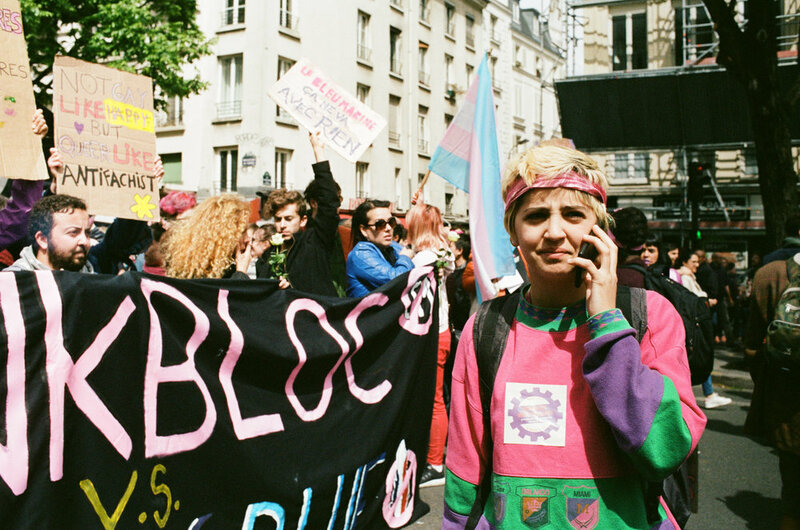 Before arriving at Bastille, I decided to come back after hearing recommendations of some people that were saying that police would start to use gas bombs against protesters. During the shoot, one of my two films got broken when I was trying to change it and at the end, I just could save this one.